On trend home accessories. Upholders of quality. Believers in colour. Lovers of fun. 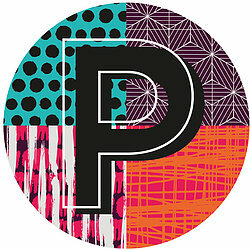 Pushka Home creates design led homeware gifts. 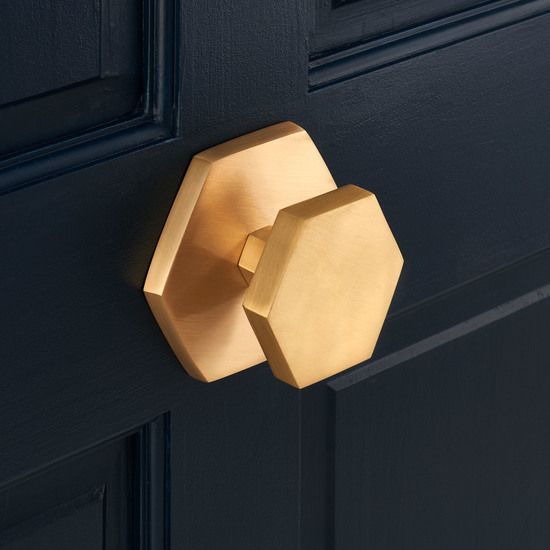 Starting in 2009, Pushka Home initially sold a large variety of ceramic, crystal and glass cupboard door knobs to add a unique feel to your furniture. We believed that the smallest change to your furniture can create a huge transformation to your home. Fast forward 7 years and this is still at the forefront of our mind (and our products). 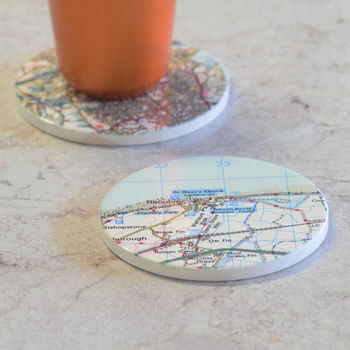 Primarily selling unique handmade ceramic, glass, wood and metal products that have been carefully designed, researched and sourced to create that little bit something different for our customers. 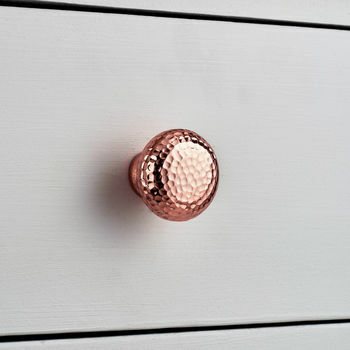 "These copper door knobs are beautiful and have really refreshed our wardrobes and given them a modernity and glow!" "Perfect item, exact location. Fast delivery. Nicely packaged. A perfect special unique gift or addition to any home and not over priced. Thank you." 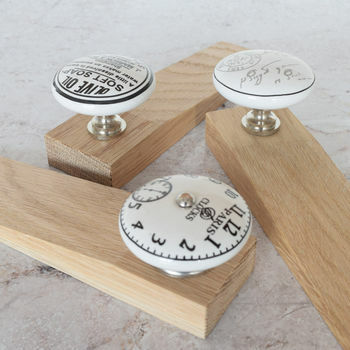 "Just as described, the doorstop has a lovely finish and is really good quality." 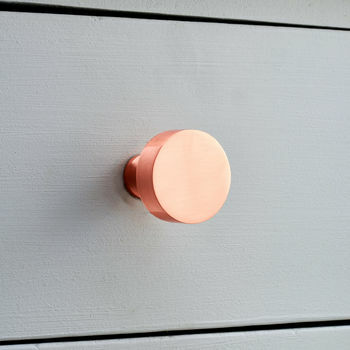 "Beautiful knobs, very solid and heavy, much better quality than I expected. Would highly recommend!" All deliveries are sent by Royal Mail and if ordered by 1pm then all orders will be dispatched the same day. We send everything 2nd class post which is about a 2 to 4 day delivery time or if the item weighs over 500g (approx 4 knobs) then we will send using our 48 hour tracked service which aims to deliver within 3 working days from dispatch. You can select the express delivery option if you want your order to be sent on a next day delivery. Next day UK deliveries are not guaranteed for next day but they currently enjoy a very high rate of delivery success within 24 hours from dispatch. Guaranteed next day service is only available for UK delivery and is subject to total weight of order. Please note personalised items can take about 1 to 2 working days for processing time so we can make them. - We accept returns for refund if received within 60 days from purchase. We accept returns for exchange if received within 90 days from purchase. Exchanges incur a postage fee. Please read and follow the below instructions for returns. - For returns please return to the below address and kindly include a return note inside the parcel to state the order number, contact details, reason for return and if you want a refund and once we receive we can process. Please pack well to ensure no damage. - If the returned item(s) has arrived damaged the value of this will be deducted from your return/refund. If there is a return charge to receive this item on our end then this will also be deducted from the refund. - We believe in all our products and are happy to provide a replacement guarantee on the odd occasion that there is a replacement required however our policy for this is up to a maximum of 3 months from the date of purchase. - We endeavour to provide tracking on all our tracked parcels and express services or the buyer can get in contact with us for any postal enquiries. Buyers are encouraged to follow the progress on their delivery by tracking it or contacting us in case of any queries about the delivery. - Parcels that are not called for are returned to sender. Parcels with incorrect or missing/not full address can be returned to sender. If not called for and there is something wrong with the address then the buyer would incur a new postage fee in order to get this re-delivered. If a parcel is returned to sender we must await the item to be returned back to us. - Our standard delivery for within the UK aims to deliver within 2 to 3 working days but can take up to about 5 working days to arrive depending on Royal Mail. Buyers are encouraged to get in contact within a week of the dispatched order if not received. - Our express deliveries for within the UK aims to deliver within 1 working day but this is not a guaranteed next day service. Buyers are encouraged to get in contact within 2 working days of dispatch if not received an express delivery. For guaranteed next day deliveries you can get in contact the day after dispatch if not received by 1pm. - Our international deliveries within Europe & EU aim to deliver within 5 to 8 working days but can take up to about 10 working days depending on peak times with post and customs in the country of delivery. Buyers in Europe should get in contact within 2 weeks of dispatch if order is not received. Parcel orders can be returned to sender if an attempted delivery has been made and the parcel package is not called for. - Our international deliveries for the Rest of the World aim to deliver within 7 to 12 working days but can take up to about 15 working days depending on peak times with post and customs in the country of delivery. Buyers in rest of the world should get in contact within 3 weeks of dispatch if order is not received. Parcel packages can be returned to sender if an attempted delivery has been made and item is not called for.